Just wanted to share al little pasal malam semalam. Headed down to 1 Utama. Bukan nak retail theraphy ok. Had to pick up some stuff for POCC press conference on Tuesday morning nanti. What's POCC? The Power Over Cervical Cancer campaign, an effort by the National Cancer Society of Malaysia. Of course, korang pon mesti tau, I'm one of the online ambassadors for the campaign along with Niki Cheong. So anyway, Reebok is tying in, and I had to go to their concept store to pick up a new wardrobe for Selasa nanti. 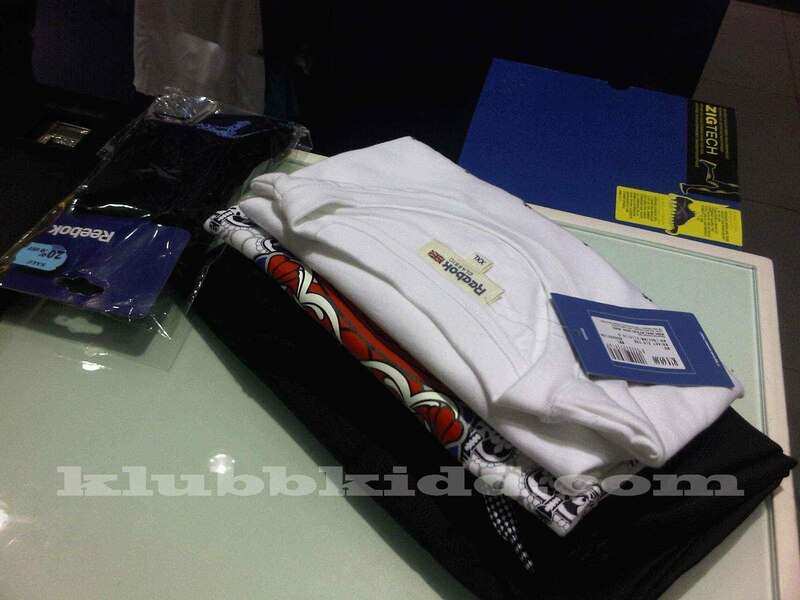 Picked up a t-shirt, pants and socks. Which was the least of my problems, cause sportswear is comfy. Period. And no, this is not an advertorial. Heh... matilah ingat aku promosi bagai kang. The hard part was picking up shoes. I generally don't wear trainers. not sportswear trainers at least. The last pair I bought was British Knight. Matilah pecah lobang umur da kertu as some of you probably don't even remember it was the brand endorsed by MC Hammer back then. Anyway - had all this to consider.. and more. In the end - settled for this. Boo ya! 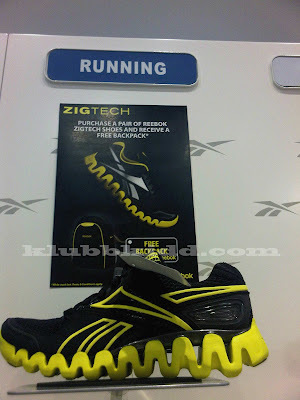 Settled on a pair of Zig Tech. Cantik gila tapak - and comfy and snug! Me likey! 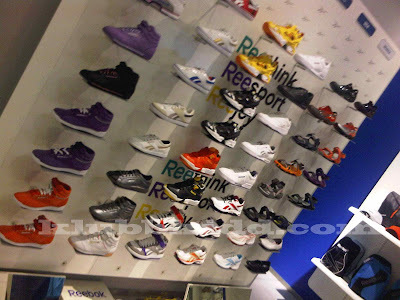 Merasalah all in hampir RM600 spent. Oops.. tak spent yer sebab meka sponsor wardrobe aku. Ok la tuh... I can ditch my Guccis and go Sporty Spice for once. Heh. 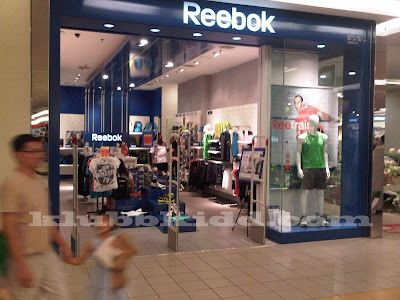 Thanks so much for the friendly staff at the Reebok concept store in 1 Utama. You guys are fun! Apapon, just in case any of you missed it, ladies... kaum Hawa sekalian, do CLICK HERE and do a risk assessment. It will take a minute or two, but trust me, it will give you an idea of what the POCC's aim is all about. Educate and protect yourselves. Guys, go your part and tell your female loved ones, those near and dear to you to do this quick assessment as well. You're helping them. And do spread the word, guys and gals. Eh.. ok jap.. nak lari gi show Mentor jap. Bukan nak tengok... nak layan member-member pas abih show. Night all.. and have a great week ahead. 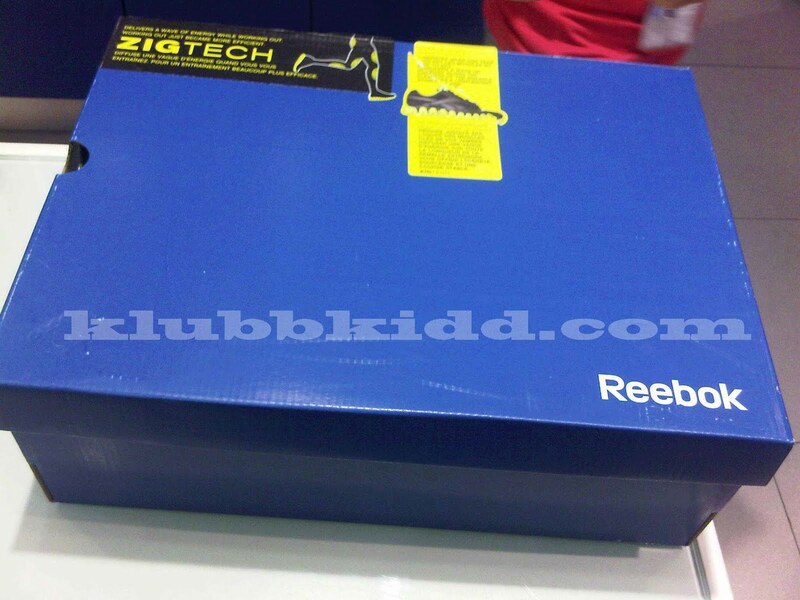 Reebok shoes are latest technologies shoes it absorber all the presser of your feet while running it is very light weight and comfortable for athlete a soft and springy ride. 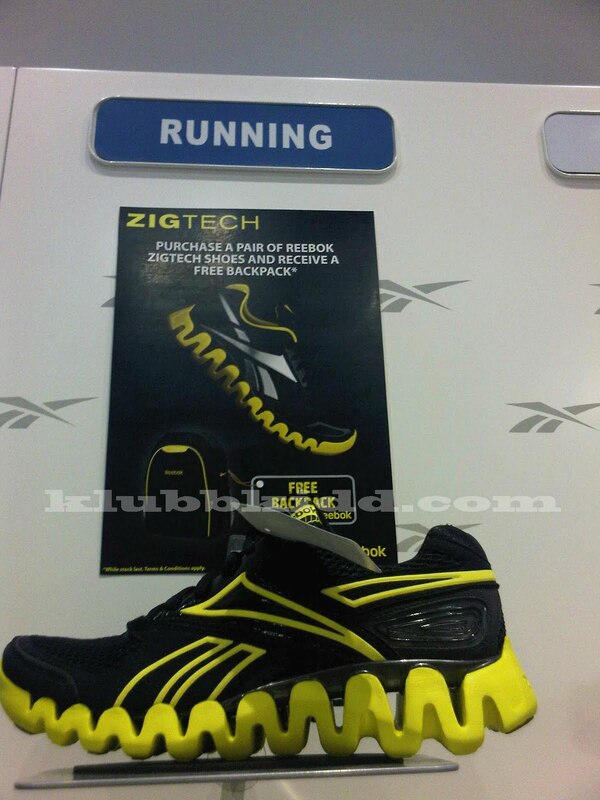 ZigTech bottom unit features innovative, lightweight foam that is engineered into a dramatic, geometric, zig-zag shape.